Twenty years ago Gary King (Simon Pegg) led his four best pals on a “Golden Mile”pub crawl to celebrate the end of their adolescence. Since then, they have all seemingly moved on with their lives and have found varying levels of success. Well, all of them except King, who has never even tried to change. Simon Pegg is always at his best in films he wrote with Edgar Wright and The World’s End is no exception. Foul-mouthed and drunk, Pegg’s King is delightfully unlikable and yet, it is easy to see why his friends are all willing to join him for one more pub crawl in their hometown of Newton Haven. 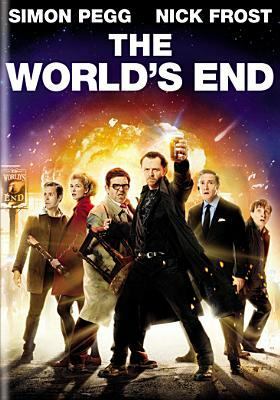 King and his friends (each with their own royal pun moniker) Andy Knightly (Nick Frost), Oliver Chamberlain (Martin Freeman), Steven Prince (Paddy Considine), and Peter Page (Eddie Marsan) are all drinking their way toward the storied pub, The World’s End. When they arrive in Newton Haven, there are subtle changes to the town that seem to be for the better. But as the night progresses, the changes seem to take a turn for the sinister, and the friends find themselves increasingly in danger. A huge fan of Shaun of the Dead and Hot Fuzz, I went into this movie expecting to love it and was not disappointed. 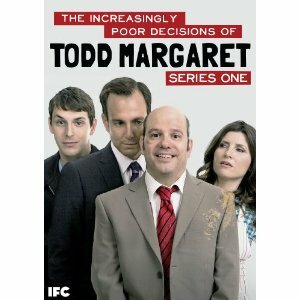 I might even say that it was my favorite of Pegg and Wright’s British bromances disguised as sci-fi and action spoofs. 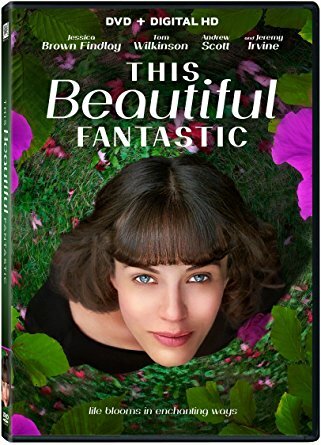 This movie is funny all the way through, and I’m hoping that it only gets better with repeated viewing. If you enjoy P.G. 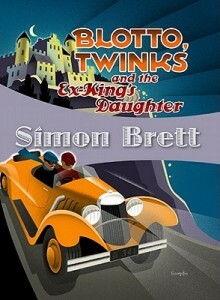 Wodehouse, you will love Simon Brett’s newest mystery, Blotto, Twinks and the Ex-King’s Daughter. Blotto is even more clueless than the aristocratic Bertie Wooster. While Wooster has his butler, Jeeves, Blotto is also lucky enough to have a much smarter sidekick. In this case, the handsome son of the Duke of Tawcaster (pronounced taster) is guided by his sister, Twinks. She is not only smart, but beautiful and loves to use her analytical skills to solve mysteries. In this book, she feels fortunate to have a dead body right in her own home, Tawcaster Towers. Her mother, the Duchess, forces the local constable to spirit away the dead body before her dinner party adjourns for cigars. Britain’s ruling class is parodied in a cheerfully absurdist writing style, and the time between the two world wars seems refreshingly innocent.